Prime Minister Shinzo Abe on Friday officially decided to bestow the prestigious People’s Honor Award on professional shogi and go champions, making the pair the first board game players to bag the award. The two — shogi player Yoshiharu Habu and go master Yuta Iyama — will receive the award in a ceremony to be held at the Prime Minister’s Office on Feb. 13, Chief Cabinet Secretary Yoshihide Suga told a news conference. Habu and Iyama will join a list of esteemed singers, actors and athletes whose historic accomplishments were recognized by past prime ministers. Their respective unprecedented winning streaks “brought dreams to the people of Japan” and “gave our society bright hope and courage,” Suga said, describing the two as “pioneers” in their respective fields. Last month, Habu, 47, became Japan’s first-ever shogi player to win seven eisei lifetime titles when he captured his seventh Ryuo title at a match held in Kagoshima Prefecture. In another feat that Suga said was “carved into history,” the shogi master in 1996 became the first to hold all seven major titles — Meijin, Oi, Oza, Kio, Osho, Kisei and Ryuo — simultaneously. 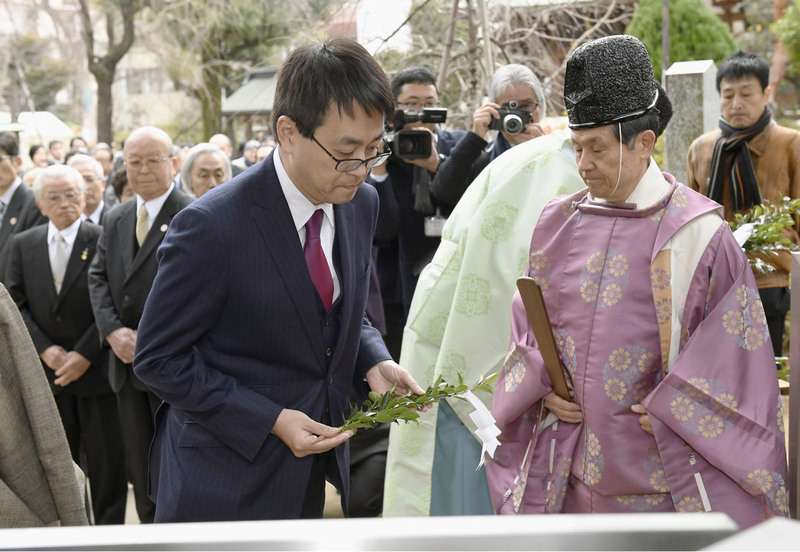 News of his selection as the newest recipient of the People’s Honor Award left Habu “both astonished and in awe,” he said in a statement posted on the Japan Shogi Association’s website soon after the announcement. Habu’s achievement immediately sparked excitement among industry insiders and fellow professionals, including 15-year-old prodigy Sota Fujii, who played a major role last year in reigniting public interest in the traditional board game with his record-setting winning streak of 29 games. “I am always impressed by Mr. Habu’s inquisitive mind and motivation to try new things,” Fujii said in a statement. Iyama, 28, recaptured the title of Meijin in October, regaining all seven go titles — Gosei, Kisei, Meijin, Honinbo, Oza, Tengen and Judan — for the second time and becoming the first player to accomplish the feat twice. “It is such an honor” to receive the award, Iyama said in a statement. The People’s Honor Award, established in 1977, has been conferred to 23 individuals and one group. Recipients include baseball slugger Sadaharu Oh, singer Hibari Misora, Olympic marathon gold medalist Naoko Takahashi and women’s national soccer team Nadeshiko Japan.